While out and about recently, Screaming Back at the Screen came in contact with a tragic piece of American history. 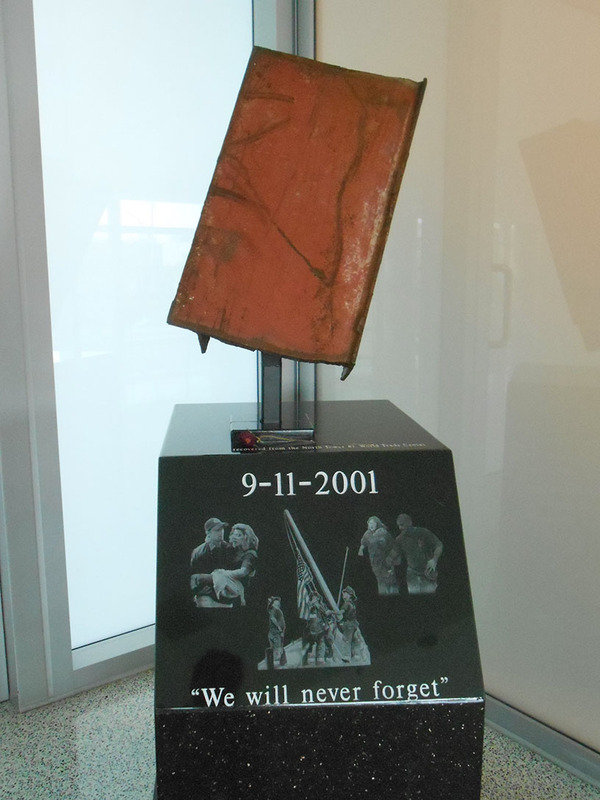 This piece of twisted steel girder, originally part of the North Tower #1 at the World Trade Center in New York City, is housed and on display at the Santa Monica Public Safety Facility. It is a tangible memory of a terrible day in our country. Twisted steel girder from the World Trade Center, New York City. Housed at the Santa Monica Public Safety Facility. Screaming Back at the Screen was a lowly airline employee on that terrible day, stationed at Los Angeles International Airport (LAX) for an airline that no longer exists. During the days that followed, LAX was a crazy place, swamped with all sorts of people: some stranded, some looking for those who were stranded, FBI agents and law enforcement officers of all sorts, and bewildered airline employees who weren’t sure how to help. We got to see the infamous “no-fly” lists that consisted of zillions of names, mostly Arabic in nature, because they were all over our workstations. And in the meantime, nothing — airplanes or people — was coming or going. Then when we went home, television showed the devastation that overtook The Madge’s beloved hometown. It was incredibly heartbreaking to see that all that destruction but good to see that New Yorkers, New Jersey-ers, first responders and everyone in between caring enough to help one another. For a brief, shining moment, our faith in humanity was restored in the midst of the chaos. 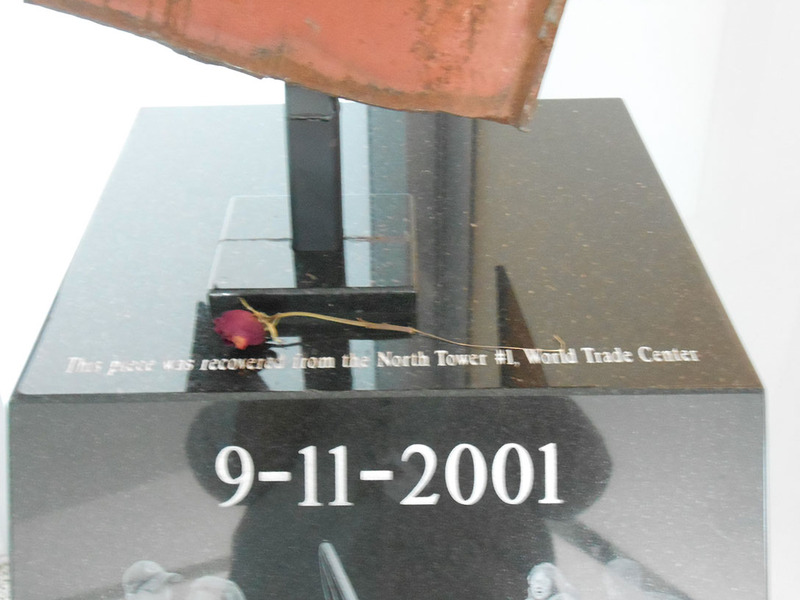 Inscription on the twisted steel girder from the World Trade Center, New York City. Housed at the Santa Monica Public Safety Facility. This entry was posted in My Los Angeles and tagged 9/11, American History, History, LAX, Los Angeles International Airport, New York City, Santa Monica California, Santa Monica Fire Department, SMFD, Twin Towers, World Trade Center by annette farmer. Bookmark the permalink.